Chalet Alpaca in Plan Peisey, Les Arcs has four bedrooms all with full en-suite facilities. There is seating around a glass-fronted fireplace in the comfortable open plan lounge and dining area. From the Chalet Alpaca dining area a door opens on to a South and West facing balcony with lovely views towards the Vanoise National Park and Montchavin in La Plagne. Chalet Alpaca is 150m from the ski hire and other shops of Plan Peisey. You can ski back to the Chalet Alpaca via the blue run. There is a new chairlift just 50m from the chalet. 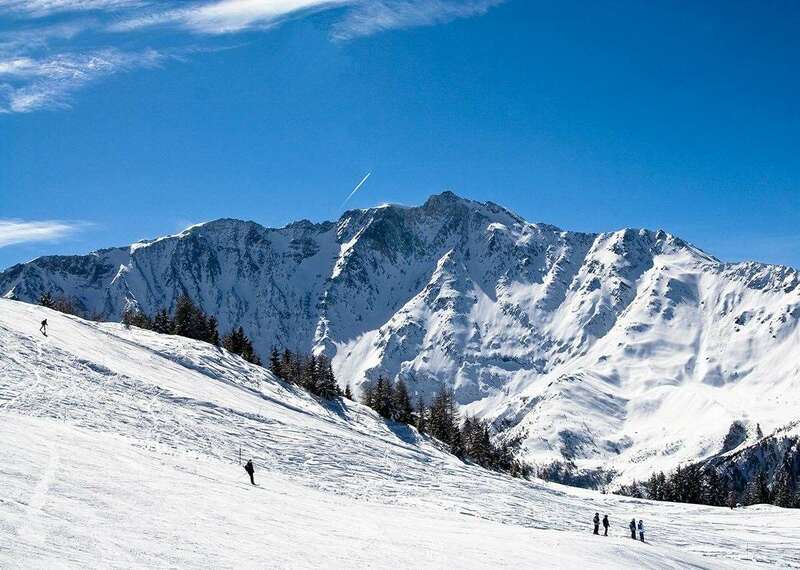 The Plan Peisey ski school, high-speed 6-seater chairlift taking you up to 2100m for skiing in Les Arcs or the Vanoise Express across to la Plagne are 400m away. Upon arrival, you will find a luxury L'Occitane gift pack in every bedroom. Bring your iPod and enjoy the exceptional quality of our hand-crafted Ruark Audio systems. Each chalet also features a selection of games. The Chalet Alpaca host lives out. Rooms 1 & 2 can take a cot, but will be tight.